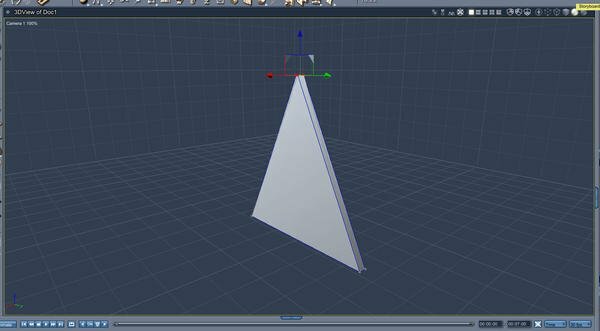 How to create a Triangle Primitive in Carrara? Been driving me nuts, messing with menu options, google searches, youtube searches, etc. And coming up with nothing. I even redownloaded and reinstalled Hexagon, hoping maybe something in that would allow me to create a triangle Primitive. Messed around with some things, but really couldn't get it to do what I wanted. 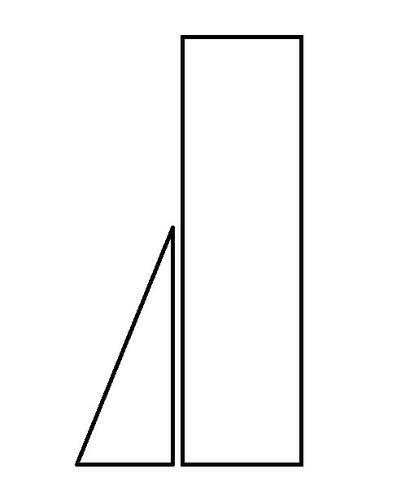 Since I don't have any good CAD software, I figured I could make a mock up of something I want to build for my Entertainment center, in Carrara, I have managed to build the bulk of it fine, but part of the base of the shelf I want to come outwards like a triangle, like in this pic attached. Triangular part is to provide a more stable footing for the shelf, sitting on the console the LCD HDTV sits on, with at least 2x 4 foot long shelves above and behind TV for DVD's, and a large open area at the base behind the TV, to install a small UPS for my HTPC, and Surge protectors, as well as excess wiring behind TV. However, I can't seem to get how to make something like that. All the pieces of wood for the project would be about an inch thick or so. 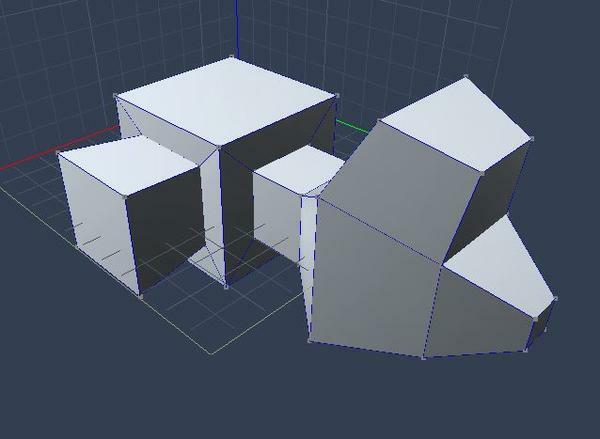 but trying to figure out how to get a primitive shaped and resized as needed for the triangular section. Or even if its possible to create a 5 sided single piece (basically both pieces merged together). I'm not that proficient with modeling in Carrara or Hexagon, only some really basic primitives and stuff, mostly what I've used Carrara for is setting up scenes with models/meshes by others, and just editing textures, lighting, effects, particles, basic animation, etc. 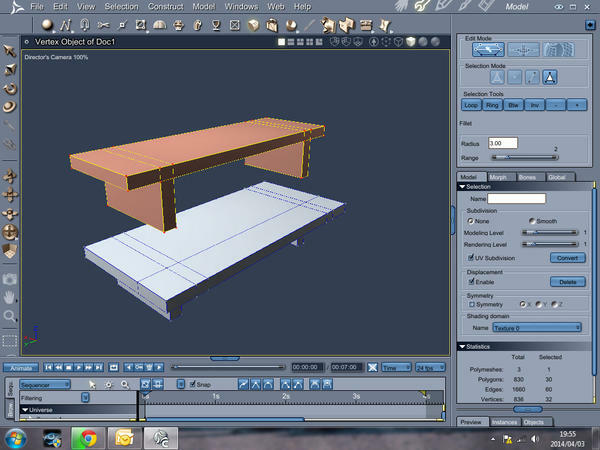 And its been 20 years since I've used any CAD Software, so really out of the loop. wha? 1 Post? New Member? Been awhile since I posted to the forums, did everyone's post counts get wiped with the new forums or something? I don't think there is any triangle primitive in Carrara, so you have to model it. The quickest way would be to use the spline modeller. That is the icon that looks like a glass. Use the pen to draw the shape. You can then afterwards adjust the shape and size, by mowing the points that the shape is made out off. You will find more information about the spline modeller in the manual. Under Help - Carrara help in the menu. 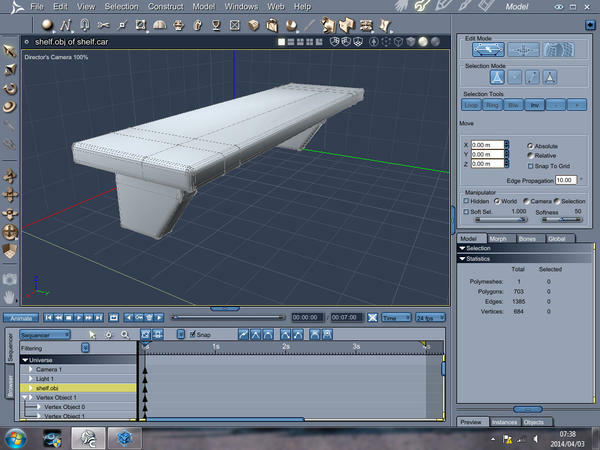 There might be some tutorials on Youtube, search for Carrara Spline or Carrara Tutorials. And yes. all the post counts got wiped out with the new forum. 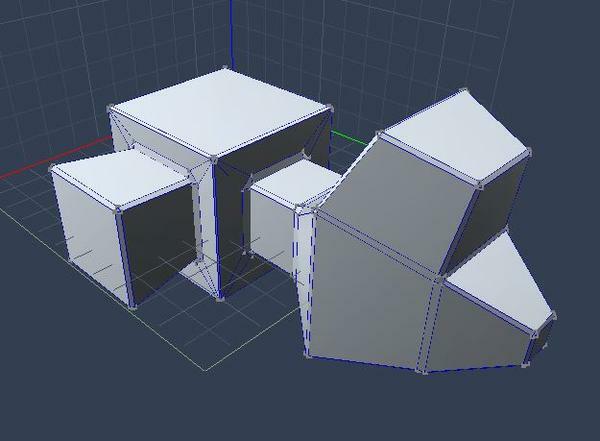 You could create a cube primitive and edit it in the vertex modeller,. .. scale it''s width,. then select the top section and scale it down to almost a point. (pic),... But As far as I know, you can't create your own "Primitive" objects,. without coding them into carrara. 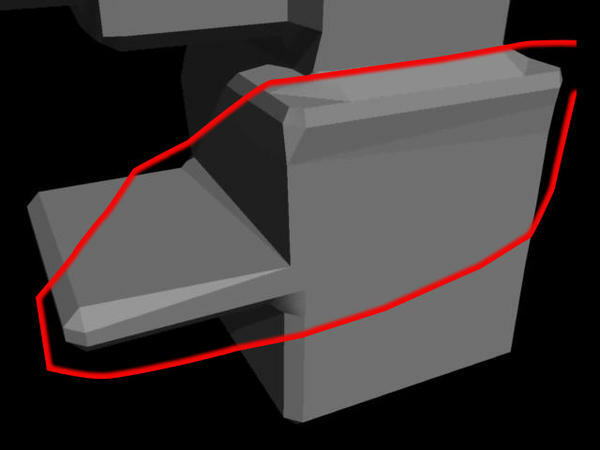 You could also draw a triangle in the vertex modeller, then extrude it, to create the shape you want. Or ,. use the Spline modeller as Varsel suggested. Primitives are an easy way to quickly visualise things, but. not always the best way to construct more complex models. 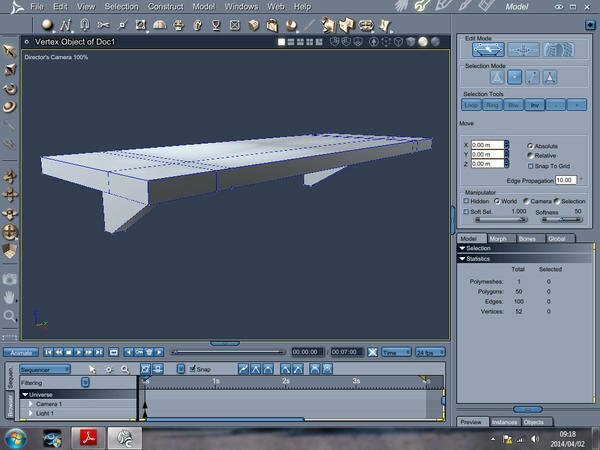 you should really take a look at the modelling rooms in Carrara, ..you'll have much more functionality and flexibility when you learn to use the modelling tools. All forum counters were reset to 0 when the forums were changed,. (AFAIK) there wasn't a way to automatically shift that info across to the new system. I have no clue about how to use CAD, but Carrara can give you real-world measurements. In the top line of this quote, I think that may be the easiest and quickest way to go for this. Sorry for taking so long to respond, but the title mentions something that just isn't there, so I left the question for others whom may know better. Anyways, in my example modeling images, I don't get to the scale you're looking for... I am more concerned with showing you how to build your model. A common modeling practice for me is to begin with a cube, and make extrusions from that, and then shape the polygons and edges into the shapes I need. So following the image sequences below, I start by constructing a cube. 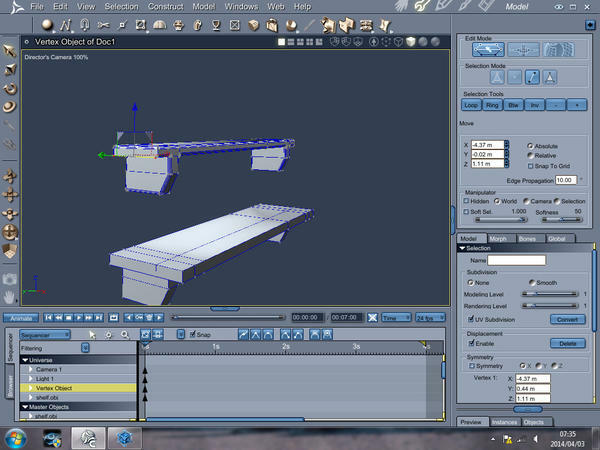 To get to the first stage, open a new (or existing for that matter) scene and Insert a Vertex Object. Thiswill snap you into another room, the Modeling Room, and as you'll notice, there's nothing here but a set of grids. You could now scale the cube to the size of the shelf, if you want. Or you can wait until a later step. In the images, I show you where to select the Extract Along tool, which is granted by clicking on the tiny arrow next to the tool that's opening into choices. Hovering your mouse over each of the choices will reveal the tool names. In this case, we need "Extract Along". 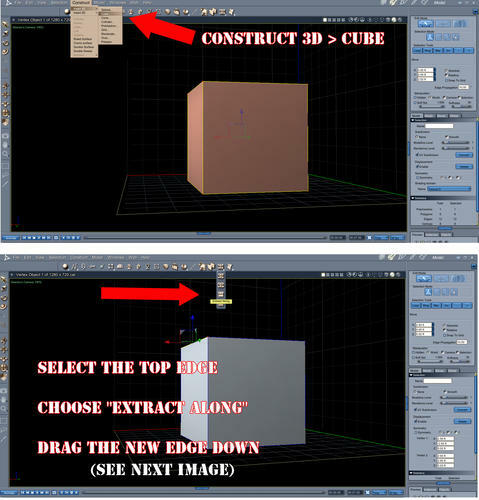 With the top edge of the cube selected, and activating the Extract Along tool, we now left-click below the selected edge and drag the mouse. You're looking for a faint green line. This green line shows where the new edge will be placed. Note that, if you don't see the green line right away, then it's going off in a different direction, so drag your mouse the other way. The top of Image 2 shows where I've made my new edge. Please let me know if you need any further instructions on any of this, okay? 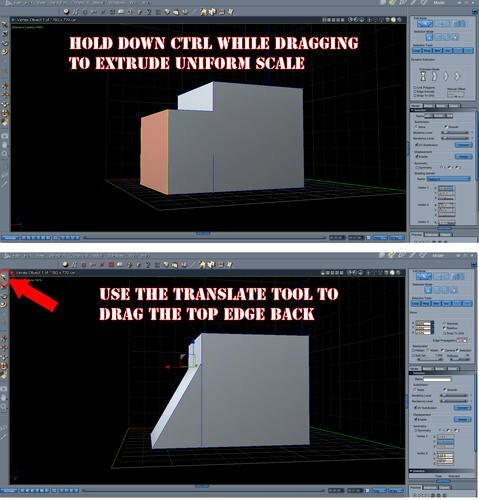 Hold down Alt to extrude uniformly within the same plane as the selected polygon. 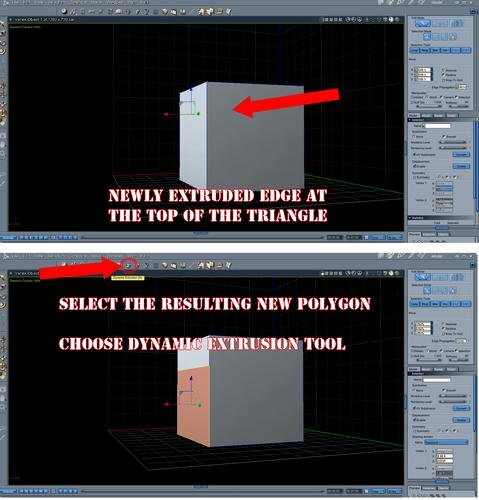 This is useful for making smaller or larger areas of selection along the plane of any polygon. 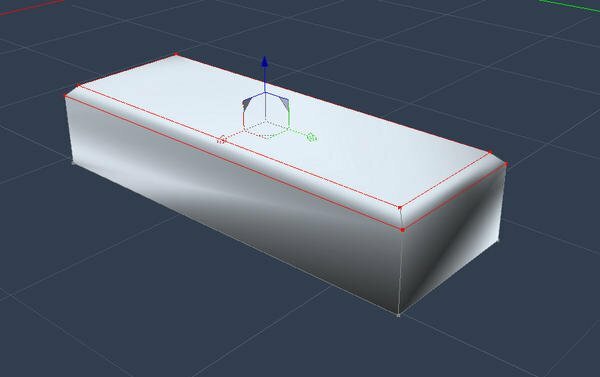 For example, Alt drag an extrusion on a square polygon to make a smaller square within that polygon, or a larger one that surrounds it. This is getting beyond your question, but I'd like you to try these extrusion methods, so that you know how they work. It will help you to take my simple explanation tutorial further to finish your shelf! So, back to the extrusion. At the top of the final image, you can see that I held down the Crtl key and extruded out a new box. In the lower part of that final image, I've grabbed the top edge of that new box, and brought it back to the original box. I can now see, after seeing my post, that it can be hard to tell one image from the next. So when I'm saying "Top of the second image" sort of thing, just know that I have posted three images, each containing two views... okay? Now, using those thoughts, you can do this several different ways. One would be to subdivide the original cube enough so that, when you extrude the triangle bits, they're already at the right thickness. Instead of subdivide, however, I would use Extract Along, to place the edges for the shelving brackets at the appropriate positions. Then do the remaining extrusions. 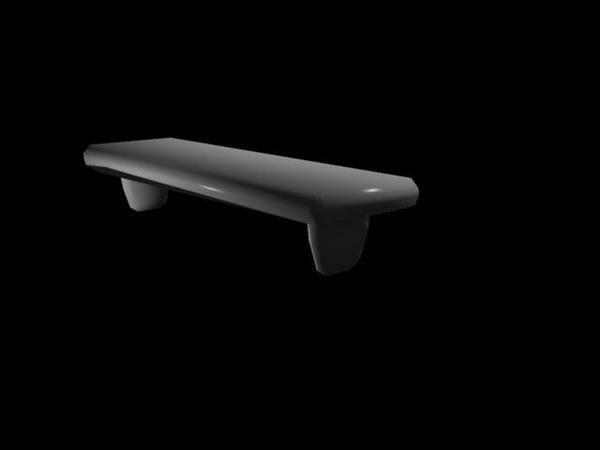 Just as an exercise in modeling in C, I did the shelf as a one-piece construction. Now I need to bevel the edges to make it look better. The closest I could find to bevel is fillet and fast fillet - both cause a mess. In Hex, this is simple - just select the model, go to the bevel tool, select all and set the numbers. You end up with some N-gons, but that is easily fixed by triangulating. How would I go about this in Carrara? You're using the right tools,.. (fast fillet and Fillet) are what you'd use to bevel an edge. I'm not sure how you're working, but unless you're selecting the entire object and using fillet, or fast fillet, ..then it shouldn't create any mess. You should select the edge you want to bevel, and use the tool on that edge or loop. and get a nice flat fillet and clean edges. Cool. Another way, too, depending on your work style, is to use Extract Along, as pictured earlier, to simply add another edge nearby. Or Extract around to create an extra edge on either side of those selected. Thank you. OK, some small terminology difference - Carrara's fillet in Hex is chamfer and fast fillet is fillet - in woodworking terms, that is the difference between sanding an edge and planing it ! Right - after some more experimenting with fillet (chamfer - because I want to sand it, not plane it) I found that it worked, as long as I only did one edge loop at a time - say, first the top then the bottom - always only selecting outside edges. 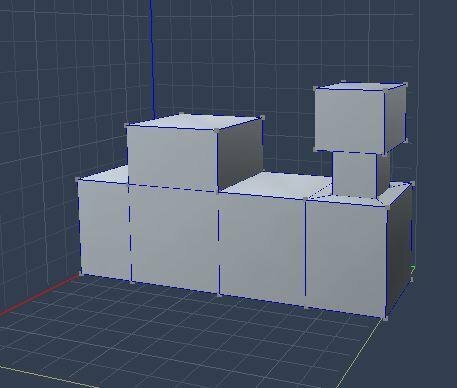 It works fine on a simple cube to do them all at once, but when it become complex, it simply does nothing, or totally trashes the mesh. See the first pic - the top shelf worked in this way, although there is one highlighted edge it won't work on. The bottom shelf is the same as the top, just with the font face extruded to give an overhang - on this one, both fillet and fast fillet refused to do anything at all! 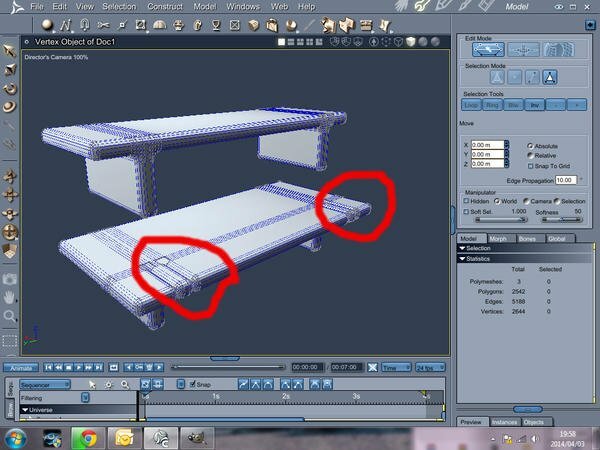 An inconsistency I found - when using backspace to dissolve an edge, it will mostly work perfectly, but on one particular edge, it would delete the edge and adjoining faces - couldn't see any reason for this - it is simply a left-over edge after bridging. If I am understanding correctly, I haven't been able to reproduce the problem. 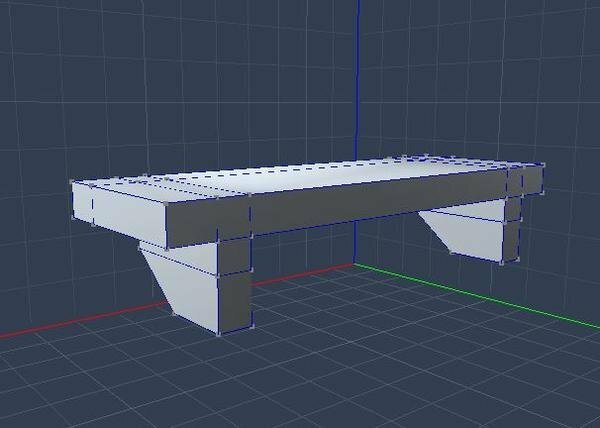 In these pics, I made a vertex bench similar to Roygee's. 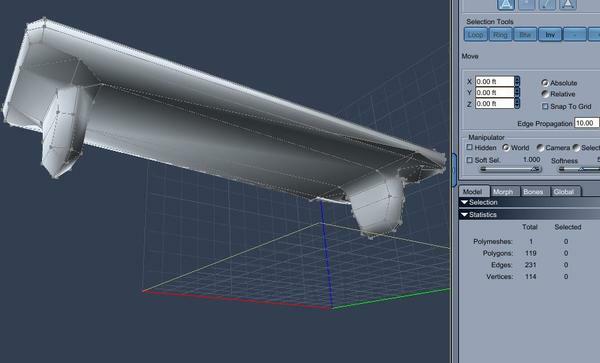 I then selected the whole thing and clicked the fillet tool (not quick fillet). The edges were smoothed and the little plus/minus icon came up allowing me to increase or decrease the degree of fillet. It was a single polymesh. Just for grins, I inserted a cube and did some odd extrusions. Still not getting the same problem you got. 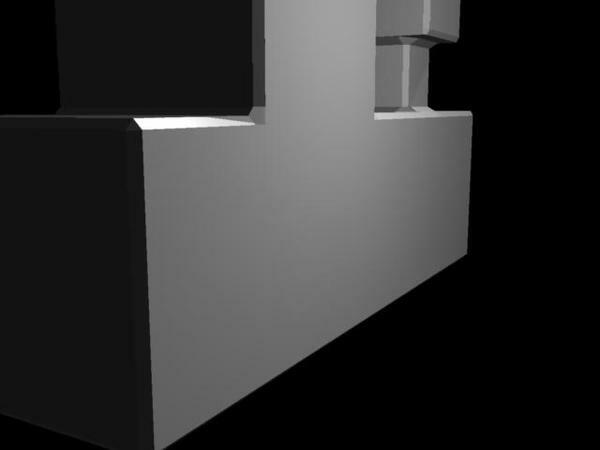 Not sure why, but the fillet tool does not seem to be giving me the same results that it is giving you. This is cool... we've got Roygee modeling in Carrara... now we have to keep him! Thanks 3dage and Diomede, and others. You'll learn to love it Roygee... I know you will! OK - figured it out...where a shape is extruded from inside a face, it handles it OK. When extruded flush with a face, as it would be to make a shelf fit flush against a wall, it doesn't. i'm not surprised by that, it is actually how it should be, given shape of the loop. In fact, I'm surprised that Hex handles it so cleanly! The first two pics are modeled in Carrara and the next two modeled in Hex and brought in to Carrara. 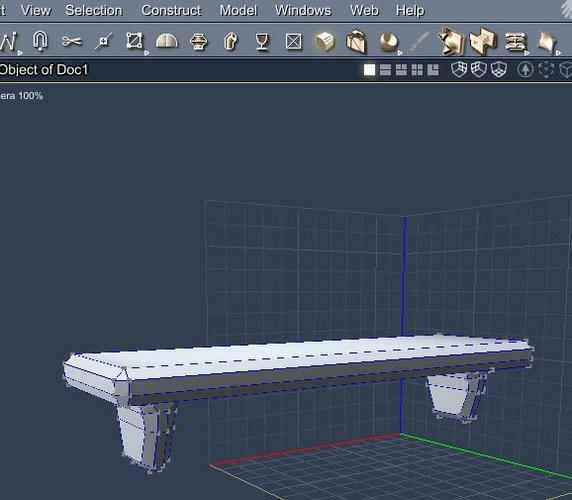 Must add that I'd never actually model a shelf as a one-piece construction - unnecessarily complex - I like to keep a model in as many individual pieces as I can get away with. Makes UV mapping simpler, as well. This was just an exercise to see what Carrara can handle! OK - my first bit of detective work gave me a wrong assumption - but I'm sure I've nailed it this time! 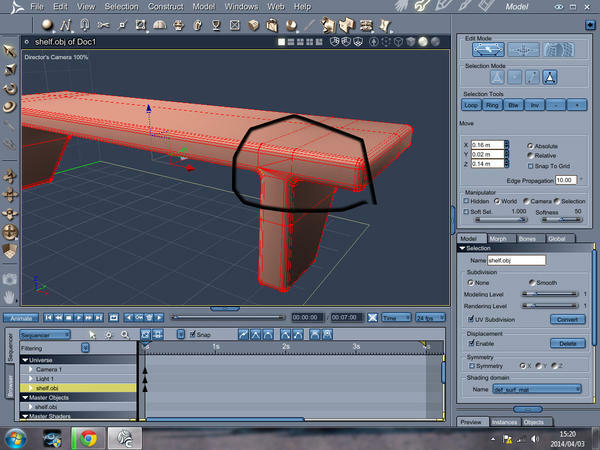 Try extruding from the face of the bench - as in the lower model of the first pic. In the second pic, the top one fillets correctly, but the bottom one is a mess where marked. 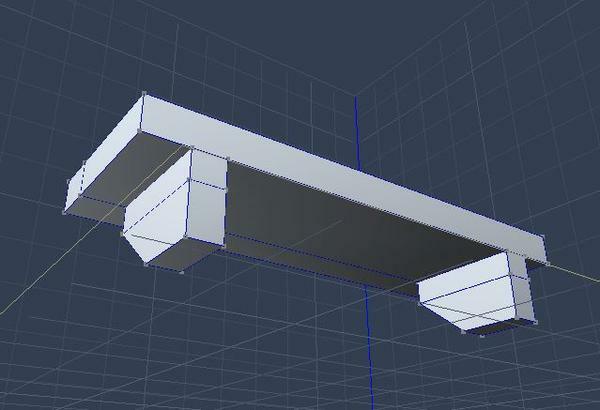 Tracked this down to non-manifold edges (internal faces) produced during the extrusion. As this is a random error and there are no diagnostic tools in Carrara as there are in Hex, it took a while to find. Difficult to trace, because you can't look inside by hiding faces, as Carrara hides adjoining faces as well. The wireframe gives no clue either. The penny dropped when I tried to loop select what looked like a perfect edgeloop, and it wouldn't. That is always a clue that something is wrong inside. I'm sure that I've read somewhere that producing non-manifold edges is a problem with Carrara extrusions - how to spot when this happens - but more importantly, how to avoid? 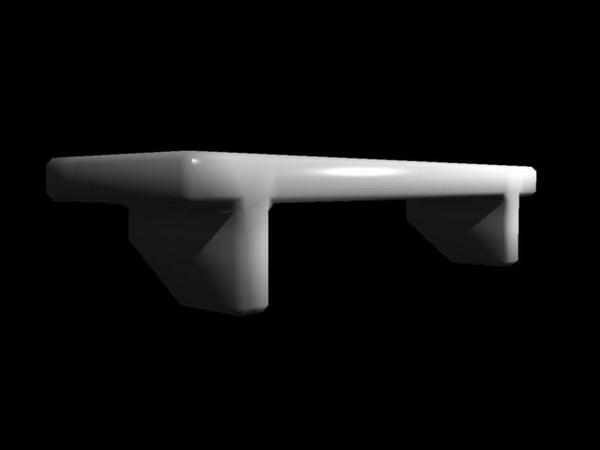 Today, I learned how to use the “boolean” tool in the vertex to modeler. @Dudu - beautiful work! Can't wait to see more. @Roygee - Good news. I've done some detective work and I don't think Carrara is picking on you the way the replicator distribution map is picking on me. I was able to make the kind of shelf I think you are making and (1) recreate a problem similar to yours, AND (2) not have the problem. It will take two posts. First - I will show success. I made a shelf with one side of the legs flush, and then used fillet to bevel the edges. 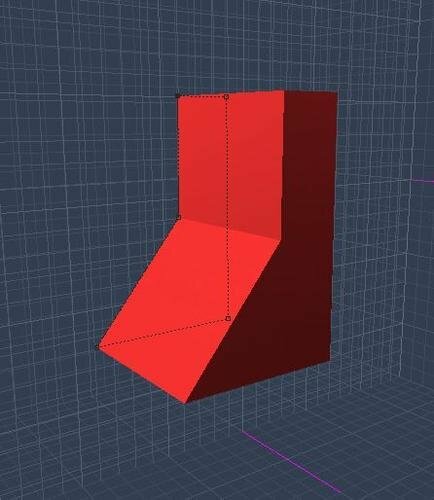 I used the vertex modeler, inserted a box, extruded one side, then used symmetry to create rectangles on the bottom to extrude the legs of the shelf. This created n-gons, so I added some vertexes on the top and sides and connected them to make everything quads. I then hit the fillet tool, and everything beveled nicely, in my opinion. see attached pics. I will illustrate a method that caused problems similar to yours in the next post. OK - so here are illustrations in which I had problems similar to Roygee's. 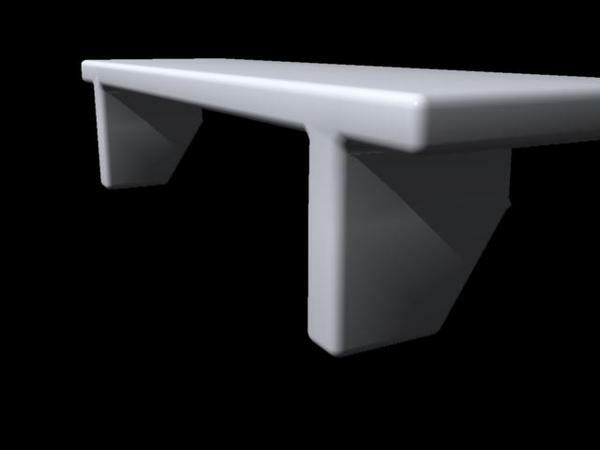 Carrara did some strange beveling in cases in which I left the n-gons, and in cases in which I connected the legs to the upper corners of the bench with triangles (no added vertexes). (1) what is happening to you can be replicated. (2) for this project, the problem was not difficult to avoid. After all the help you have given me, I am glad I was able to find a solution for this. Here is an example of a strange result when using fillet if the polygons have more than 4 vertexes (ngons). Hey, we shouldn't let this great necklace get buried in a modeling thread. Thank you for making it available. I didn't realize we could attach Carrara files for download. 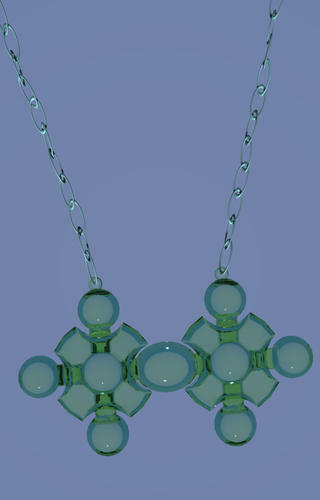 One of you Genesis folks should adorn one of the ladies with Dudu's necklace and really show it off. The orchard worker that I made for the garden challenge doesn't do it justice. See attached. It could be rigged and poseable. It could be turned into a conforming figure. There are a lot of uses. Hi Diomede, you can't attach Carrara files in this forum. You can post links to them though. If you go to the Freepository forum at the Carrara Cafe you can upload zip files to share. Hi Diomede :) Thanks for taking an interest. There were definitely no N-gons in any of my efforts. 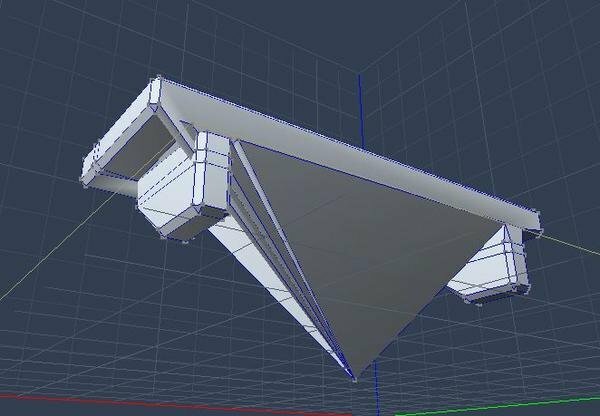 OK the last was caused by me not noticing that the default was to extrude polys separately - so the problem was not non-manifold edges, but it was filleting around separate edges. The earlier efforts gave very different distortions and thinking back on it, I would say that was probably because the thickness of the shelf wasn't sufficient to do the job properly - probably some overlapping edges. 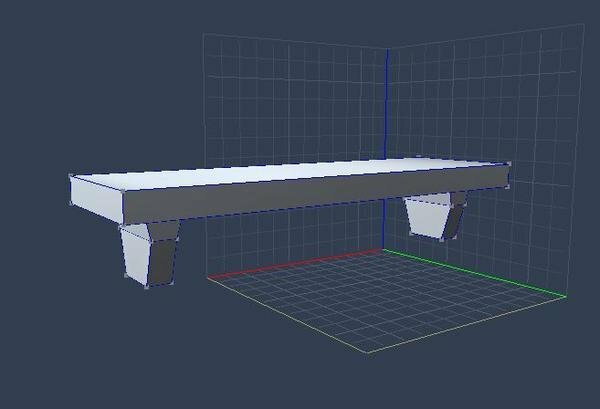 What would probably have helped there would have been to make the shelves thicker, do the fillet, then scale down in the Z axis to get the right thickness. Have you messed around with modeling in the Assembly room yet? Carrara just keeps getting nicer and nicer as a modeler to me, the more I use it and get to know more of the tools, and just getting more experience in it. But I've been purposely doing so only in Carrara, because I'm wanting to do it all here - so I haven't any other fresh comparisons. I was actually planning on putting Hexagon to better use, but since the feel was so different, I didn't want to adopt the new style. Do you ever still use anim8or? What's your favorite? Yes, I have - often! One of my most frustrating experiences, mainly because you can only work on one mesh at a time. In Hex, you simply click to make the body invisible, do the selection, make it visible and carry on. 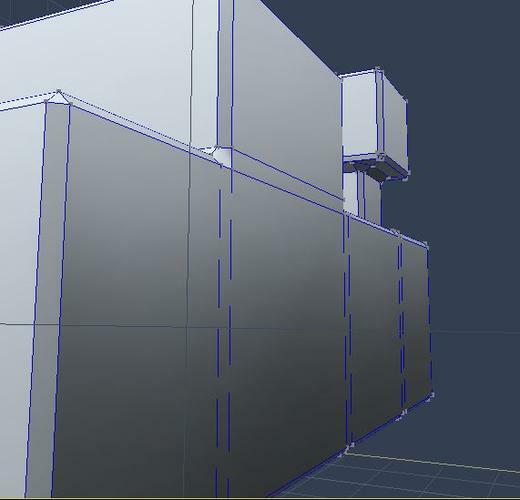 You have to jump through all sorts of hoops to join two meshes - I forget the process, but it doesn't make for efficiency. Anim8or is a great little app - that is where I started and it was a natural progression to Hex, they being very similar. Sadly, development seems to have stopped - it has some very advanced tools for something this simple. 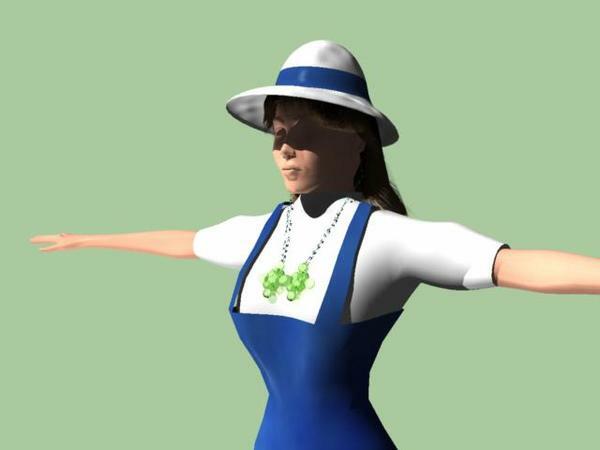 Best UV projection method I've come across, Carrara could learn a lot from it as far as rigging and weight-painting is concerned. 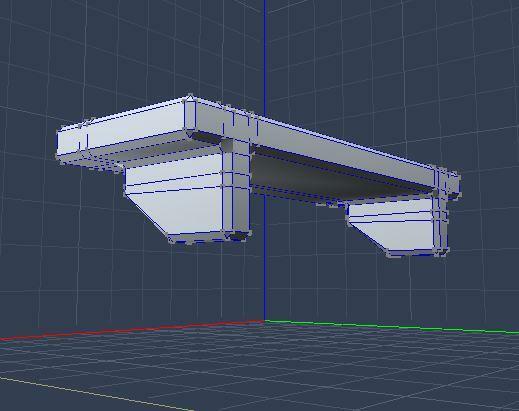 It has the ability to put different textures on each side of a poly - something which you would need Fenric's plug-in to do in C.
I haven't used it for ages, but I still have a soft spot for it and far prefer it to Carrara for modelling. I'd recommend it to anyone starting out in modelling to get a feel for the processes. Somehow, I seem to prefer using specialist tools rather than jack-of-all-trades-master- of- none. I don't find it a hassle moving from one to the other - Hex for modelling, UU3D for UV mapping, Daz Studio for rigging and Carrara for texturing, animation and rendering. @Roygee, I am very grateful to you for all the tips and tricks you have shared. Note - we have strayed from the original question in the thread. How can you add a triangle to the bottom part of a rectangle? 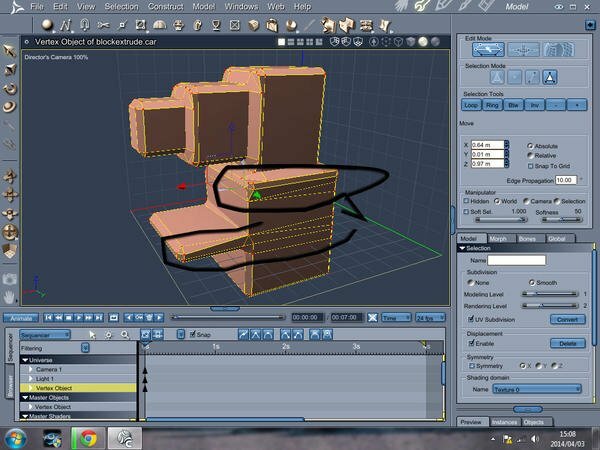 Varsel gave the simplest solution, just use 5 clicks of the pen tool in the spline modeler. It is worth showing the simplest solution.